IZ Rater has created this privacy statement in order to demonstrate our firm commitment to protecting your privacy. Our goal is to make you aware of the types of information we collect on our web site and how we use this information to process insurance requests and provide a more personalized experience. Specifically, this privacy statement discloses how we protect your security, what information we require, how we use the information you provide, and how you can correct or change any information you have provided. How Do We Protect Your Security? We value your trust and handle your information with care. This site has security measures in place to protect from loss, misuse and alteration of the information under our control. 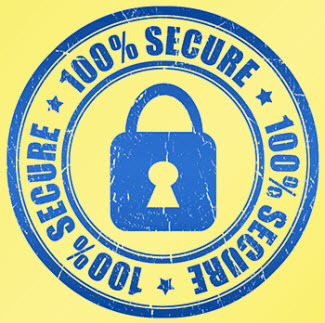 Our employees are committed to safeguarding your information using our high security standards and procedures. Application information is sent to us using "SSL" encryption technology or Secure Socket Layering to keep your information confidential on-line. SSL encrypts all of your information so that it cannot be read as it travels over the Internet. SSL works by using a private key to encrypt data. A third-party Certificate Authority authenticates the identity of the computer that sends the data and the computer that receives the data. By using this method of authenticating, unauthorized users cannot intercept the data and cannot send false information about you. IZ Rater has a Secure Server Digital ID that has been issued and certified by a leading authority. IZ Rater uses firewall technology as another layer of protection. This is a system designed to prevent unauthorized access to or from a private network when connected to the Internet. All data passing into or out of our network must first pass through the firewall. The firewall reviews each piece of data to make sure it meets our security criteria. The firewall blocks any data that does not meet the security criteria. IZ Rater stores your information on a database server, which is separate from our web server. Even in the unlikely event that someone gains unauthorized access to our web site, they could not access your data. What information do we need? Zip code, date of birth, gender, marital status, prior insurance carrier, current policy expiration date, home ownership, length of residence, review of credit information, employment duration, distance driven, vehicle information and attributes, vehicle use, number of drivers, driving record information, business type, business revenues, number of employees, employee classifications, prior claims history, property information, and payroll. As permitted by law, this site may order certain underwriting reports, such as motor vehicle, consumer credit or loss claim history to determine eligibility and to provide coverage at the lowest possible cost. IZ Rater may ask you to verify or provide additional information if you decide to buy a policy. At your request, we will provide information on how to contact these agencies to verify and/or correct your information (see below). These reports and your insurance request information will only be available to the insurance companies affiliated with IZ Rater and listed on our site. Any information collected in relation to the generation of insurance quotes or policies is considered confidential information entrusted to IZ Rater. IZ Rater uses your information to generate accurate insurance rates and provide a faster response to your insurance requests. Specifically, we will use customer contact information from the registration form to reach you, if necessary, as well as to send you information about IZ Rater and selected partners. Users may choose to opt-out from receiving future mailings; see the choice/opt-out section below. Profile, demographic and financial information is collected to determine your rates. Demographic data is also used to enhance your next visit to our site by showing you new information or services that we think you might be interested in and displaying the content according to your preferences. Unique identifiers (such as social security numbers or Federal Tax ID number) are collected from insurance applicants to verify their identity. Like most web sites, we are often able to detect and store your IP address and the web site that referred you to our site. We collect information on web traffic and usage patterns. We use this information to help diagnose problems with our servers, to administer our web site and to provide adequate capacity for our visitors. Your IP or domain name address is used to help identify you and your insurance requests. We may use your contact information to send you insurance information or other reminders via email, mail and/or telephone. You may opt-out of receiving these communications as described under the Choice/Opt-out heading below. As part of our current insurance operations, we do not offer users a means by which to completely delete personal information provided during an insurance request. For those customers electing insurance coverage or purchasing an insurance policy, information is sent only to the customer's selected insurance carrier, company or underwriter for the purpose of obtaining insurance coverage for the customer. 4. Law enforcement agencies or other governmental authorities to protect our interest or to report illegal activities. We will not sell or release your e-mail address without your permission. If you give us permission to allow our affiliated companies (that have met our rigorous screening process) to contact you, you always have the option to stop receiving special offers from those affiliates. IZ Rater will always give you the opportunity to opt-out of receiving communications from us and our partners. You may opt-out of receiving email, mail or telephone calls from IZ Rater by writing to support@insurezone.com, indicating the name, address and telephone number you wish to have removed from our contact list. We regret that currently we cannot offer users a means by which to completely delete personal information provided during an insurance request. How Can You Correct Information You Have Provided? You have the right to access and correct all personal information collected by third party consumer reporting agencies. In the case of information obtained from third party consumer reports, IZ Rater will provide you with contact information for the reporting agency in question so that you can verify and/or correct your information with them. Please send your inquiry to us at: support@insurezone.com. IZ Rater uses a technology called "temporary cookies". When you visit IZ Rater.com, we send you a temporary cookie that is held in your browser's memory. When you close your browser or log-out from your session, the temporary cookie disappears - that's why we named it a "temporary cookie." If you are using a computer that others have access to (school, library, internet caf? ), we recommend you close your browser when you complete your internet session. Cookies cannot harm your computer in any way. Only the web site that places a cookie on your computer is allowed to read it; no other web site may access the cookie that is placed on your computer by IZ Rater.com. In no instance are we able to determine your email address or any other personal information from the cookie. If you have any questions about this privacy statement, our standard practices, or your interactions with this web site, you can email us at support@insurezone.com; telephone us at 1.888.968.7966; or write to us at: InsureZone, 1612 Summit Avenue, Suite 100, Fort Worth, TX 76102.